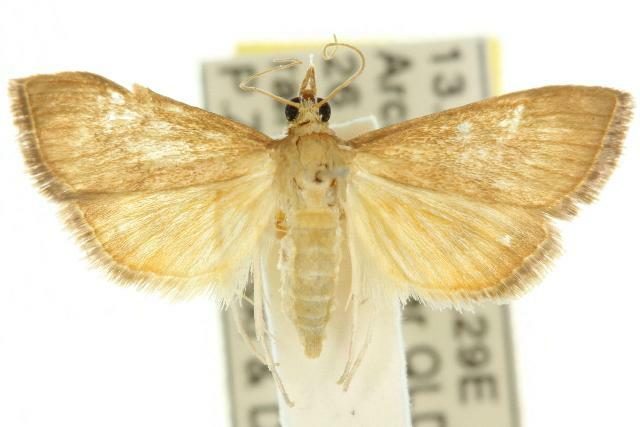 The adult moth of this species is yellow or pale brown, with some faint markings on the forewings. The wingspan is about 2.5 cms. The genus of this species is controversial, and some taxonomists have placed it in Udea, and some in Mimudea. Part 19 (1859), p. 1014.